CHARMING TURNKEY VILLA-PERFECT ISLAND RETREAT GET AWAY OR BEACH INVESTMENT PROPERTY! 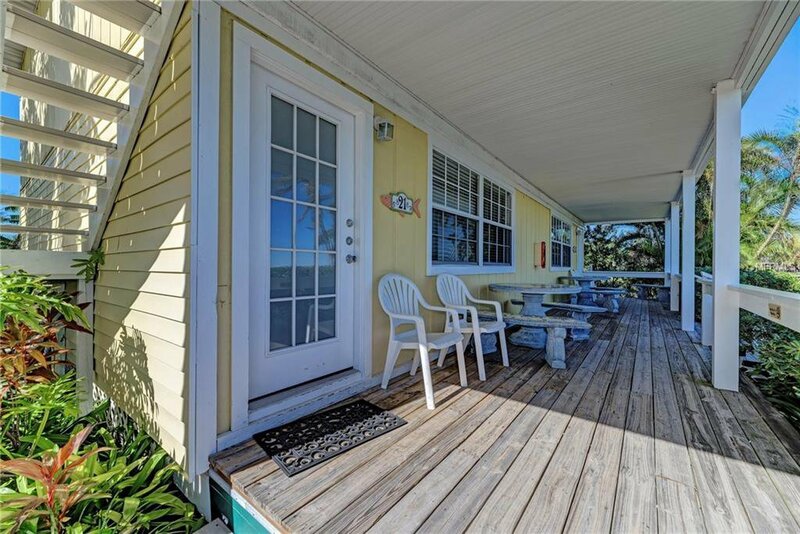 This Key West Style Cottage has an on-site Renal Management and has a Great Rental history producing positive cash flow, after all operating cost! BEST BAY VIEWS IN THE BACK with a private porch and picnic area. Next to the Gorgeous Heated Swimming Pool with plenty of lounge chairs and access to the private beach across the way- also offering chairs and umbrellas. There is a FREE community Laundry area and ice machine and maid service. This unit offers an Open Floor plan with a full kitchen and pull out queen sofa to accommodate four total, with two generous size closets. Sit on the covered outside porch, taking in the spectacular views and private picnic area to enjoy family BBQ. The fishing dock expands out back and provides activities, or just relax by the pool or beach. Enjoy all the island has to offer with the Free Trolley out front that travels all the way down to Holmes Beach. The flexible nightly, weekly & long term Rental policy allows you to gain income when not utilizing it yourself! One of the few hotels that allows pets, so the entire family can come. The quaint feel of Anna Maria Island, makes it one of the most popular destinations with pristine sandy beaches- lined with shops, galleries and eateries! Listing courtesy of KELLER WILLIAMS REALTY SELECT. Selling Office: ISLAND REAL ESTATE-ANNA MARIA.